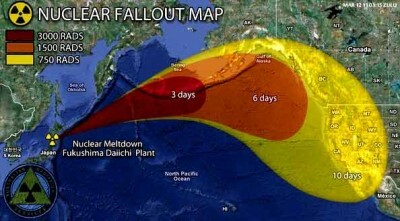 Fukushima: Uranium and Plutonium Contamination of Large Areas of Oceans, Ground-water, Soils. Scientists have raised concern over the rate of radioactive contamination of the Pacific, due to the Fukushima nuclear accident. Expert : Plutonium-241 from Fukushima nearly 70,000 times more than atomic bomb fallout in Japan. Officials : Molten fuel now ‘particle-like’, contains ‘special’ nuclear materials. Gov’t Labs : Large areas of oceans contaminated by plutonium from events such as Fukushima; Build-up in biosphere expected; Considerable hazard to humans. [The Joint Research Centre] is studying emerging safety issues…examining mixed oxide (MOX) properties [and] preparing further severe accident studies on specific aspects of the Fukushima accident [such as] off-vessel fuel-concrete interactions… Japanese Atomic Energy Agency (JAEA) selected a JRC-developed method as one of the most suitable approaches to characterise [Fukushima’s] molten fuel… This characterisation is an international obligation during the decommissioning phase, according to IAEA safeguards. Japanese researchers are now developing and optimising the methodology to quantify special nuclear materials in particle-like debris of the molten reactor fuel.